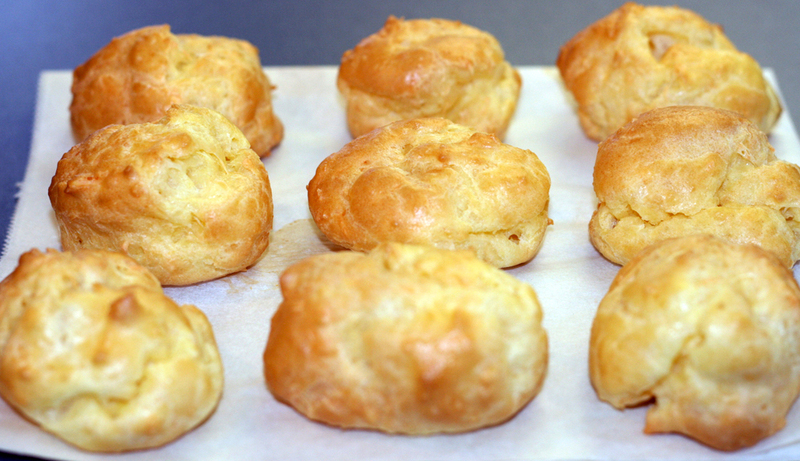 Gougères are said to come from the Burgundy region in France where they are usually served cold when wine-tasting in cellars, but are also served warm as an appetizer. They can be eaten just as they are or cut in half, crosswise, and then stuffed with a soft cheese filling or foie gras or even with tuna rillette, the recipe for which I posted a few days ago. They really are perfect with pre-dinner drinks but be warned, they are quite addictive!